Request a Bet | Find Out How To Build a Bet With Different Brands! Request a Bet has become a very popular feature in the past several years. Bookmakers often provide plenty of options when it comes to the types of bets that their customers can use. However, there are still a lot of possibilities which the bettors can come up with. Therefore, we can now use things like a bet builder to make bets of our own. How Does Request a Bet Work on Different Operators? 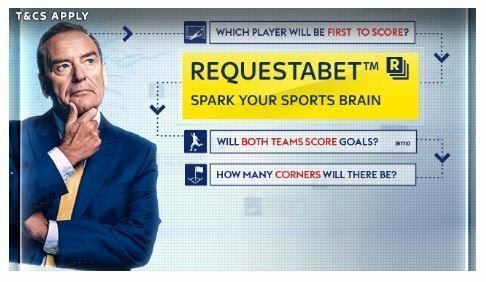 What Is the Future of Request a Bet? Bookmakers have figured out a way to make the betting experience more fun by making the bets more complicated. Thanks to the Request a Bet feature, bettors can now give the bookmaker an offer of what their bet could look like. If the bookie decides it is a good offer, they will receive the odds for this, more complex, bet. So for instance, you might want to spice up your bet slip a little bit by combining multiple bets. You can bet that one team will win the match. Then, you can also add a number of goals bet and maybe your prediction on how many substitutions there are going to be in the specific match. What you have here is a bit more complex type of bet slip which you can create automatically on some betting platforms like the bet365 bet builder. On the other hand, some operators require you to send them an offer of your bet slip. After that, they will respond to you with their offer of the odds for that particular bet. As you can probably guess, different online bookies have different rules when it comes to the Request a Bet option. Now we are going to cover some different ways of how you can use this tool based on what online bookmaker you decide to play with. And is there a better way to start with than with the Bet Builder bet365? How to use the Bet Builder bet365? The Bet Builder bet365 is a great tool which allows you to skip the part where you have to talk to the operator’s staff in order to get your Request a Bet submission approved. All you have to do is fill in this tool with the bets you want to combine. Please keep in mind that at bet365 you can use this tool to build a bet for the football matches only. Final result for HT or FT. Number of goals each team is going to score. Total number of goals that are going to be scored. Number of corners per game. Which player is going to score a goal. Number of cards, red cards per game, etc. Is the team going to win the competition, qualify for the competition, etc. We have already mentioned that different bookies prefer using this feature in a different way. Ladbrokes is one of the operators who utilise the social media platforms for their Request a Bet feature. The way their bet builder works is you have to visit their Twitter account and use the hashtag #GetAPrice to send them your bet slip offer. After that, all you have to do is wait for their staff to give you a reply with the odds that they think is fair for that particular bet. In the reply, the Ladbrokes’ staff will provide you with a link to the bet you’ve decided to place. If you are betting at Sky Bet you will be happy to know that you can request a bet at this operator very easily. The first option is to use their Request a Bet tool to build your own bets. Once you’ve made your selection of bets, their bet builder tool will offer you the odds. If that is not enough for you and you have some ideas of your own, you can also get in touch with Sky Bet’s traders on their Twitter page @RequestABet and use the hashtag #requestabet. There is also the “Create A RequestABet” button on their website which currently works only on Football matches. William Hill also makes their Request a Bet feature available through their Twitter’s profile. This time though, you would need to use a different hashtag. Visit the William Hill’s Twitter profile. Send them a tweet with your bet offer and don’t forget to use the hashtag #YourOdds. Wait for them to respond with the odds for this specific bet and provide you with a link. Use that link to place a bet. As you can see, Ladbrokes and William Hill both have a very similar way of Request a Bet. The main difference between these two operators and the Bet Builder bet365 is the fact that at bet365 you can only build your bets for the football matches only. On the other hand, at Ladbrokes and William Hill, you can build your bet on a wide range of games like baseball, basketball, football and others. When it comes to 888sport, there was a very similar attempt during the World Cup 2018 to implement a similar Twitter strategy for their bet builder. Market Maker 888sport was the name of their Request a Bet feature and the customers had to use the hashtag #MarketMaker to make their requests. However, we haven’t seen much activity on their Twitter profile in regard to this hashtag. It appears that users have stopped building bets at this operator. Furthermore, their website is not mentioning this feature. For all we know, Market Maker 888sport might still be in the development phase. Make sure to bookmark this article if you are interested in this topic as we will keep you updated if anything changes. Betfred has also decided to give their customers a very similar experience by providing a Twitter hashtag #PickYourPunt. The Pick Your Punt Betfred works only on certain matches and leagues. Of course, like with all these operators, Betfred has their own terms and conditions when it comes to their bet builder. These T&Cs mostly refer to the maximum payout per bet, the time frame after which the events are being counted as void, etc. If you want to contact the traders at BetVictor, you can do so via Twitter again. Simply visit their Twitter account @BetVictor and use the hashtag #PriceItUp while offering your bet. If you need an inspiration on how your bet should look like, you can always check the current hashtag and see other customers’ bet proposals as well as the odds for each of them in the replies section. There is also a neat Price It Up tutorial at BetVictor’s website which can guide you through a couple of simple steps on how to do this properly. Coral also works with their Twitter page. The only difference here is the fact that they use the hashtag #YourCall The rest of the build a bet procedure is the same as with the previous operators. As you can see, Twitter is the main tool used by most of these online bookies when their players request a bet. This means that you can’t use other social media platforms like Facebook, Instagram, etc. As the Internet evolves every single day, we are witnessing that many industries are making changes to their business models in order to follow along. The online betting industry is no exception. Using social media profiles to request a bet seems like a stepping stone to something bigger when it comes to placing bets online. So far, bet365 seems to have implemented the fastest version of this feature. But if we consider the fact that it only works on football matches, it sure lacks the flexibility. At the same time, using social media profiles like Twitter to request a bet has its own limitations too. For instance, you might not see the notification when the operator gives you a reply. And there are also some players who do not have a Twitter account. In our opinion, the future of the Bet Builder tools lies somewhere in between the current solutions. We will most likely use certain online tools like the ones bet365 and Sky Bet have, but with a lot more freedom when it comes to the types of bets we can place. In the meantime, bettors can enjoy any of these tools which we talked about earlier in order to build a bet of their own.